Product categories of EN1423&1424 Glass Beads, we are specialized manufacturers from China, EN1423&1424 Glass Beads, EN1423&1424 Micro Glass Beads suppliers/factory, wholesale high-quality products of EN1423&1424 Road Marking Glass Bead R & D and manufacturing, we have the perfect after-sales service and technical support. Look forward to your cooperation! EN1423&1424 Glass Beads, blyglassbeads has classified based on the refraction, reflection ,roundness and the ratio of the beads . 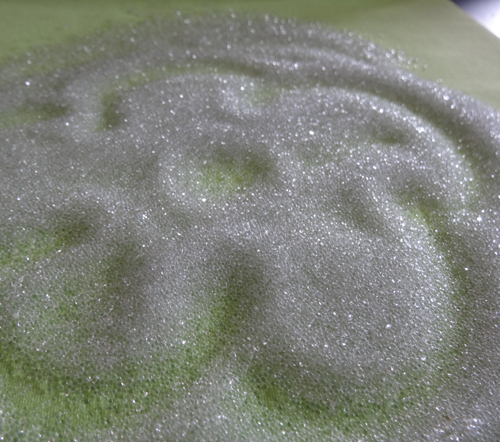 the micro glass beads particle is used in the thermolastic road marking reflection paint , excellent for road marking , specially to improve the visiblility at night. Road marking glass beads,1.5 Index Glass Beads, there are BS6088 Class A, BS6088 Class B, AASHO M247 Beads, EN1423/1424 glass beads, NBR6831, Roadway Safety Glass beads, glass microspheres,Reflective glass beads, these beads are especially made for use in road marking paints and thermoplastics to provide excellent night retro-reflective. EN1423/1424 standard glass beads are high quality glass micro spheres resulting from the specialized processing of selected glass cullet. EN1423/1424 standard glass beads is a major factor in increasing road safety in a very economical way. Thanks to the beads`retroreflective action at night, a vehicle`s headlight beam is returned to the driver`s eyes, which results in a [light-up" effect of the striping. The micro spheres not only multiply the visibility of road markings at night, but also increase the striping`s durability in general. EN1423/1424 standard glass beads are used as drop-on agent and as premix beads for road marking materials.